This isn't really a recipe, but it's so good, it deserved its own recipe card! The fruit gets so sweet, juicy, with a hint of smoke. DJ BBQ and I made these, and it tasted so amazing that it was hard to believe that all we did was grill them! Fruit for grilling, such as pineapple, strawberries, mango, peaches, apples, figs, bananas, even watermelon! You don't want them too ripe and soft - choose fruits that are still a bit firm. Make sure your grill is clean so your fruit doesn't pick up the flavors from your last meal. Light your grill and set it to medium to high heat. Wash, peel, and pit your fruit as needed. Chop your fruit into bite-sized chunks, about 1-1/2 inches. Spear them onto your skewers. 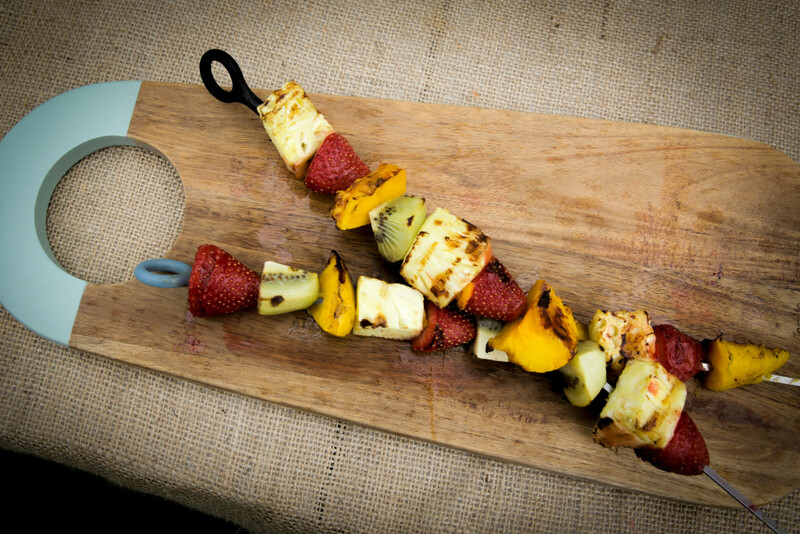 Place your skewers onto your grill, and turn every 3-5 minutes so you have grill marks on all sides. This is a great way to get your greens! 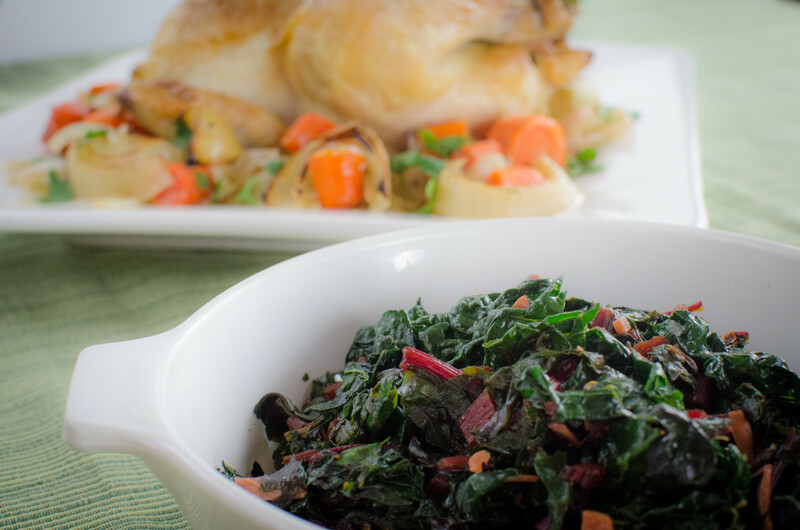 Kale and swiss chard grows easily here, so we grow them in our garden every year.